‘What kind of vaccines do cats need?’ and other vaccine-related questions answered here. Why Do Kittens Need So Many Shots? Great question- Your kitten acquired some immunity when he or she drank colostrum, or milk, from the mother, but these antibodies weaken as the kitten ages. To sustain adequate immunity during this phase when immunity is transitioning from antibodies produced by the mother to antibodies produced by the kitten, we administer vaccines at 6, 9, and 12 weeks of age. The overall objective is to build your kitten’s own defenses against disease as the defenses that he or she inherited from his mother lose their strength. The vaccines that we administer at Animal Medical basically take two forms: Killed and Live. 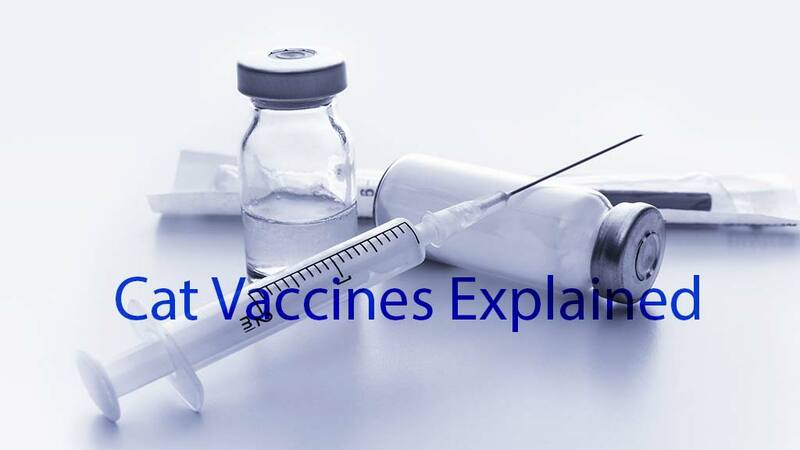 There is a special concern with using killed (sometimes referred to as inactivated vaccines). See more below. In vaccines that contain killed virus (variations include subunit and inactivated), the virus that we are trying to protect against is either killed or is reduced to its most telltale components. When injected, the pet’s body can learn what it needs to protect against and create antibodies against the disease without risk of infection. Because there is some evidence that suggests that killed vaccines are associated with higher rates of cancer, Animal Medical of New City does not vaccinate kittens or cats with inactivated (killed) vaccines. Critical components of the disease that we are trying to protect against are placed on the surface of a live virus that poses no threat to your dog or cat (typically it is a virus that only infects birds). You can think of it as a scary Halloween mask worn by an innocent trick-or-treater. Your pet’s immune system is fooled into believing that this innocent virus is really the bad guy and builds immunity against it. Live viruses are considered to be superior to killed viruses when stimulating the immune system to produce antibodies. I’ve never Heard of a Cat Getting Distemper, So Why Does My Cat Need a Vaccine Against It? The reason you have never heard of any cat getting feline distemper is because millions of cats receive the vaccine and are protected against the disease. In this case, the lack of prevalence isn’t a case against the vaccine, but for it. When more than 75% of a population is vaccinated against a particular disease, the vaccine is successful at stopping epidemics, but if the number of those vaccinated drops lower than that, communities are at risk for dangerous outbreaks of disease. It’s important to note that most pet owners believe in the value of both rabies and distemper vaccines, so it’s very rare that we see cases of either infection, but because pet owners have less confidence in newer vaccines like those that protect against feline leukemia (FeLV) and feline immunodeficiency virus (FIV), we see more cases. The vaccines used at Animal Medical undergo a critical review by our veterinary peers and by our own medical team. They are very safe and effective. You can choose to have them administered to your pet with confidence that they will safely and effectively protect against disease. What Diseases Do Cat Vaccines Protect Against? The distemper vaccine that we give at Animal Medical is really a combination vaccine that includes protection against 3 serious feline infections. The letters of the vaccine FVRCP represent each of these diseases. As noted earlier, this vaccine is Purevax Feline 3 vaccine, one that includes no adjuvants (chemicals that may be linked to cancers in cats). The first two letters of this vaccine stand for Feline Viral and are the first two words in name of the following three diseases. Rhinotracheitis is caused by a herpes virus that is specific to cats. Both adults and kittens are at risk, but the illness tends to be more serious in younger animals. Symptoms include runny nose, sneezing, irritation of the throat, runny eyes, and swollen eye lids. In more severe cases, cats can experience permanent eye damage. There are as many as 40 different strains of the calici virus, all of which, to some degree, cause upper respiratory conditions similar to those ascribed to rhinotracheitis. One added difference is that cats infected with Calici tend to develop sores on their tongue, gums and/or palette causing them to drool. In more severe strains, cats can become quite sick and experience fever, swelling of the face and limbs, and jaundice. As many as 60% of cats infected with calici can die depending on the strain. Panleukopenia is a very contagious viral disease caused by a virus that is related to the canine parvovirus. Infected patients become quite ill and experience vomiting, ulceration of their digestive tract, bloody diarrhea, severe dehydration, malnutrition, and anemia. There is no cure for feline leukemia and once infected, cats remain positive for the disease and infectious for life. The disease is transmitted through body fluids and/or touch associated with things like mutual grooming, sharing food or water bowls, mating, and fighting. The disease can cause chronic intermittent episodes of fever, gum ulceration, and malaise. Patients can also be asymptomatic for years. Most cats infected with feline leukemia go on to develop more serious diseases like lymphoma, anemia, opportunistic infections, or oral inflammatory disease. Cats living with other cats that are leukemia positive, that go outside, or that live in households where the leukemia status of the other cats is not known, should all be vaccinated. Other vaccines against diseases like Feline Infectious Peritonitis (FIP) and Feline Immunodeficiency Virus (FIV, not related to human HIV or transmittable to humans) exist, but are not routinely offered by Animal Medical of New City. If you are interested in having your pet vaccinated against these diseases, talk with one of our vets. We’ll be able to walk you through your concerns and provide you with the best options for your pet. But My Cat is Indoor-Only And So Fearful At the Vet. Is it Still Worth It To Vaccinate? Firstly, we understand how stressful it can be for both pets and pet parents to bring cats to the vet. Being placed in a carrier, traveling to the practice by car, and landing in a foreign place like a vet office can cause cats to behave fearfully and/or aggressively. We take extra precautions to make sure your cat remains calm throughout the entire process of coming to the vet. If your cat has a history of being afraid of travel or of being at the vet, reach out to us. We’ll work together to devise a plan to minimize stress. And YES, vaccination is important! All the diseases that we mention above can be transmitted to your cat through touch alone. It’s even possible for your to bring the disease home on your clothes! Also, annual visits to our practice are an excellent chance for us to physically examine your cat and make sure that there are no other health issues. Cats are incredibly good at masking illness until is is significantly advanced. An annual physical examination by one of our doctors is critical to the long-term health of your cat.